It’s time to close this years chapter on cruising. We have had an amazing year and are sorry to see it end. After much deliberation, we have decide to leave Idyll Time in Sidney, B.C. over the winter. 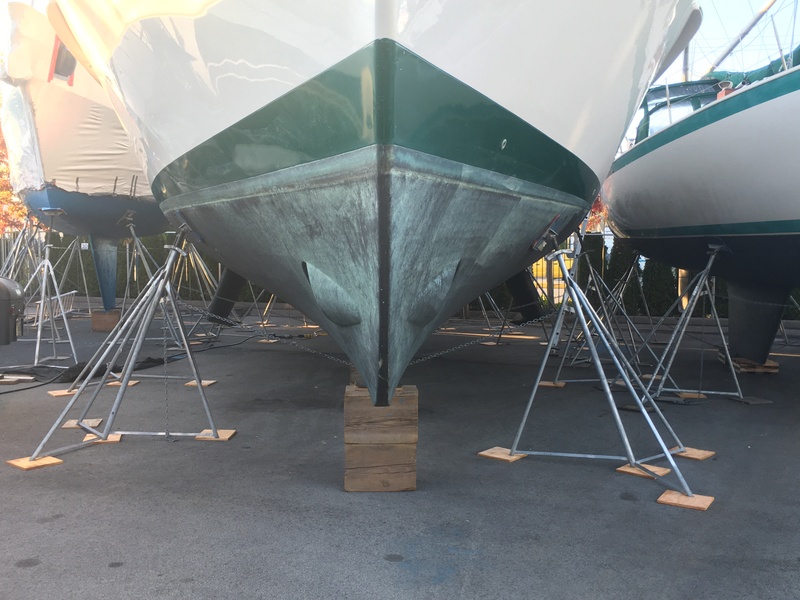 She will stay out of water in Van Isle Marina’s Yacht Park. It is always an anxious time as we watch our girl being lifted out. 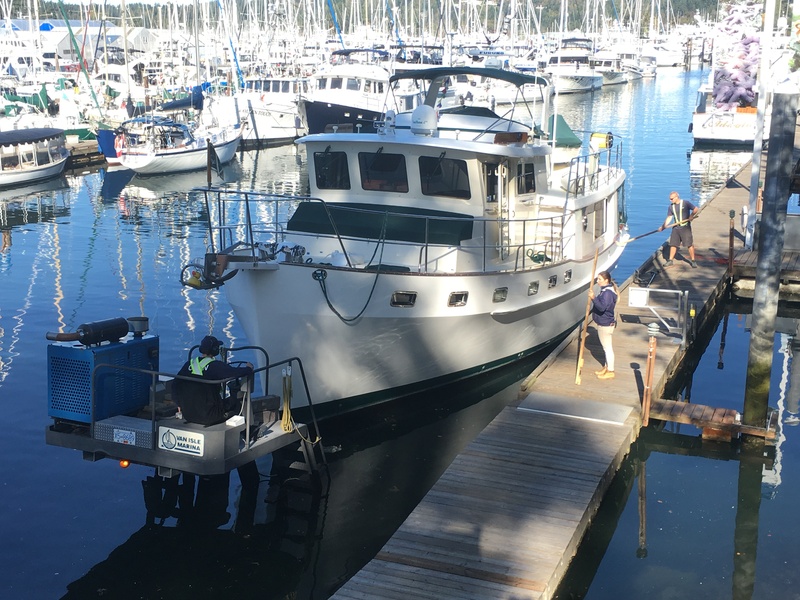 Van Isle uses a hydraulic trailer to lift their boats out of the water instead of the travel lift. This is a first for Idyll Time. 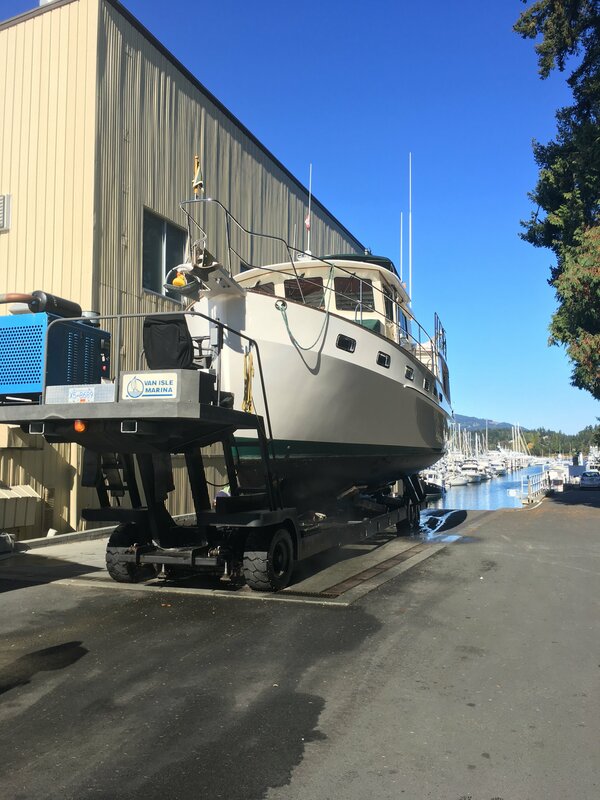 Being one of the bigger boats that Van Isle has lifted out, they take great care during the entire process. Alex, the lift operator, spends almost an hour precisely orientating the boat on their trailer. Our hydraulic stabilizers are a concern. There is very little room for error. Alex did his homework back in July. 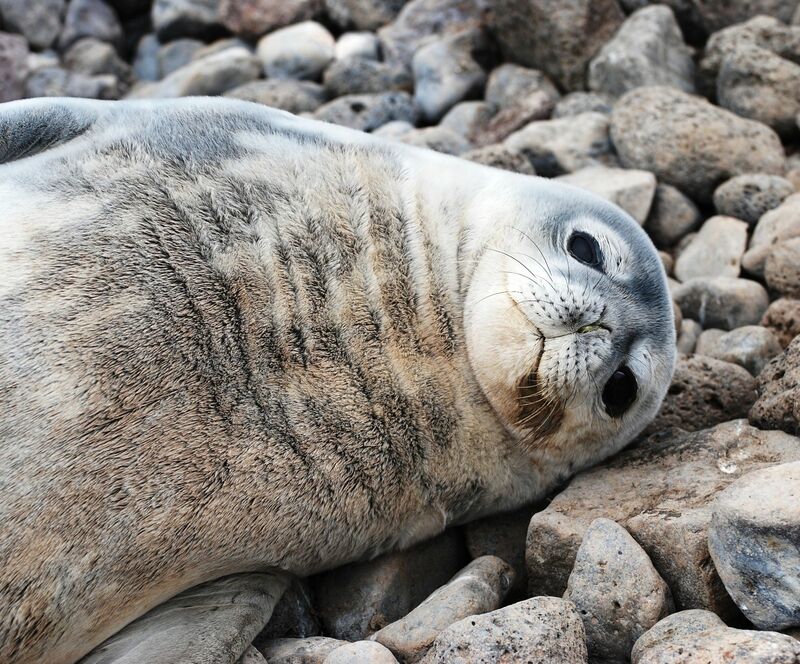 After studying our hull schematic and also a phone call to Krogen Yachts, he felt good about lifting our boat. As we are positioned on trailer, Alex uses an underwater camera to make sure our keel sits in exactly the right position. 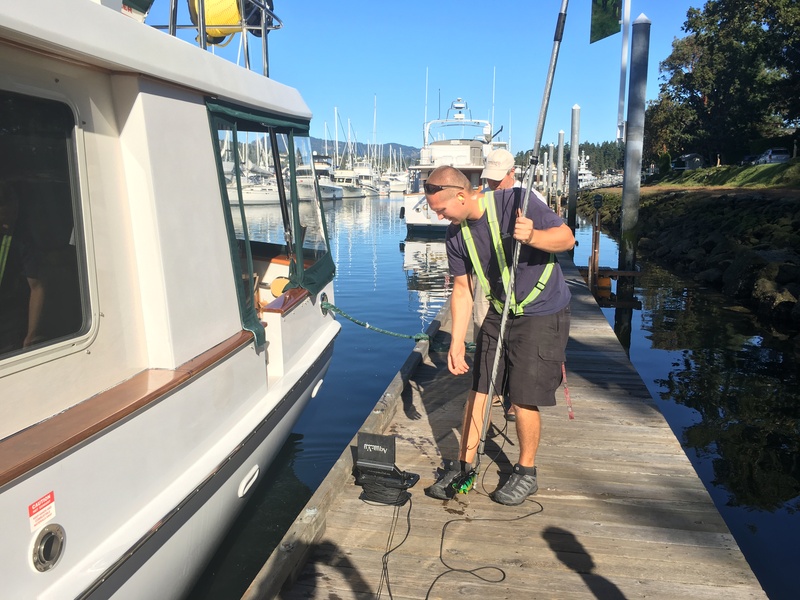 Everything goes smoothly and we are soon out of the water and our hull completely pressure washed. Slowly we are then transported across the street to Van Isle’s yacht park where we are chocked and blocked. We then spend several days preparing IT for her winter storage. 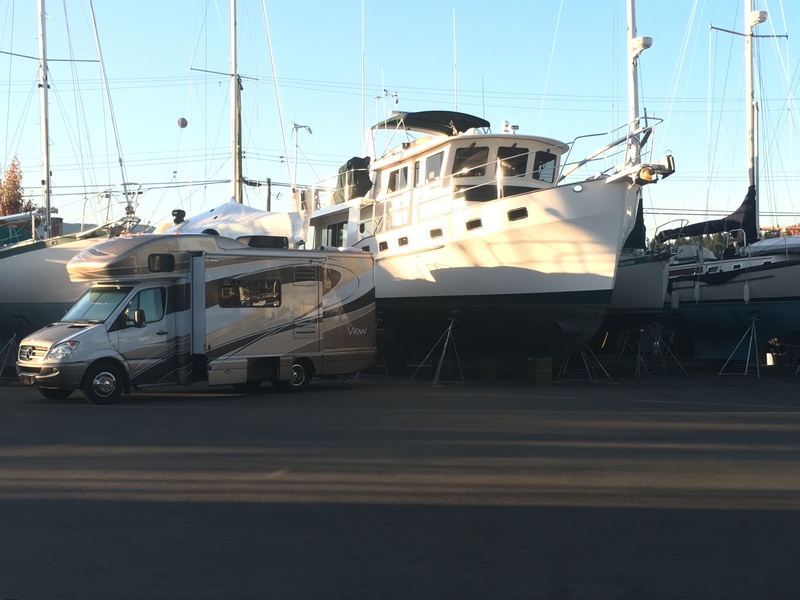 Having the RV parked right beside her makes this task much easier. Soon we have all of our perishable foods and extra gear loaded into the RV. We are already looking forward to our return next spring. Where do we cruise next year? The plan is to continue north exploring more of Northern British Columbia. Alaska? We have lots to consider over the winter. Thanks for following along. This entry was posted on October 20, 2017 at 12:00 am. You can follow any responses to this entry through the RSS 2.0 feed. You can leave a response, or trackback from your own site.